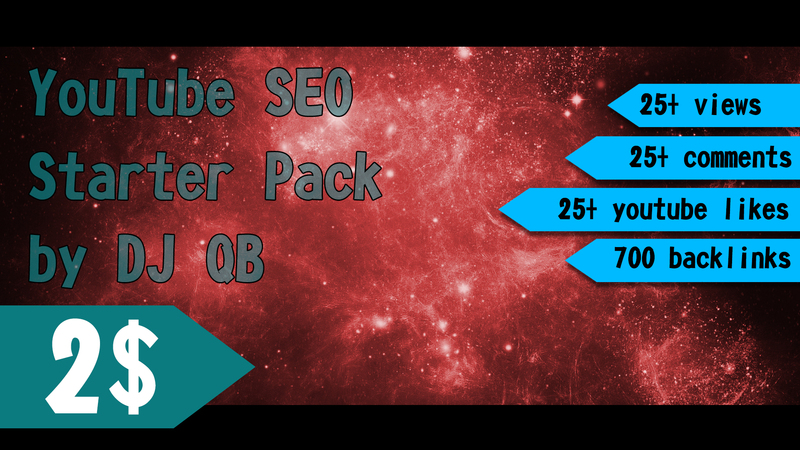 Perfect SEO package for your youtube video! Only 2$! As someone who is years in this job, I can really help you with this boost on your video. 1. I will comment on videos that are relevant to your products and/or services by using YOUR own YouTube account. Your YouTube account’s name is your brand name. I am going to use your own YouTube account so that people will be familiar with your brand. When people often see that you are writing relevant and substantial comments on videos, they’ll most likely be intrigued on who you really are. As a result, they will click on your YouTube account and read whatever information you have on your channel. If you’ve written something about your products or services in your YouTube channel, they may buy from you because they see how credible your comments are and how helpful you are. The least thing that they will possibly do is to subscribe to your channel. Isn’t that great? 2. I will write every single YouTube comment with the tone, style and personality I use when I talk to a friend. The answer is ordinary but it takes extra-ordinary commitment and efforts to write the best YouTube comments ever. With mine YouTube commenting service, I am not talking about so-so funny YouTube comments from people who are using bots. I am not aiming to bag the title for the “funniest YouTube comments”. Mine goal is to build your YouTube channel’s authority by writing a relevant comment to every relevant YouTube video. 3.I only comment on YouTube videos that are relevant to your products or services. If you are a Search Engine Optimization (SEO) service provider, using your YouTube channel’s account, I will comment on YouTube videos that are relevant to SEO. Not only I promote your brand by doing so, I also get the chance to boost your sense of authority on YouTube by commenting with meaty responses with not just an I-second-the-motion type of comments. I will also provide some keywords in comments. Order today with this great price! You will be truly satisfied with this service. If you have any question or problem feel free to ask. For all who left recommandation will get 2 more comments. Perfect YouTube SEO Starter Pack is ranked 5 out of 5. Based on 34 user reviews.